Had to come down and back up Craig on his distance record attempt! Got on the water a bit late at what was supposed to be low tide but the tide continued to drop for another hour! 16-25 knots of Easterly wind with a touch of ESE in it sometimes. Started on 5.7m Koncept and IS87 with 28cm Lessacher Duo Speed Weed fin. Ist hour was reasonable but I had to Gybe fall in's and then a big tailwalk/short flight/sudden stop moment. Wind was increasing in the gusts but about the same in the lulls. After the first hour I chanced to CA50, Koncept 5m and 25cm Lessacher Duo Weed Speed. I was a bit under in the lulls but fater and more secure in the gusts. Best Hour and Alpha was on the IS87 and 5.7m. Top speeds were on the CA50 and 5m. Nice to finally have a sail this month! 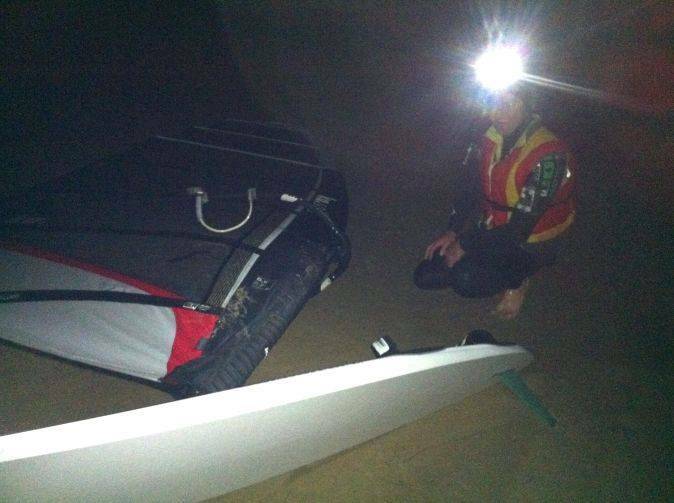 As I type this it is almost midnight and Craig is still going with full lighting rig, LED's marking the sandbars, and is well past 400 km's. Started the day at 4am and was at the Pit by 5am ,rigged 4 sails and as the AB is no longer seaworthy the only option was the Carbon Art Sl 52. Got everything ready but forgot the wind, gusty ESE at about 0 to 15 and very big holes, I was thinking that Dave had nobbled the weather. The kitter was happy; he was off to the surf for some downwinders. 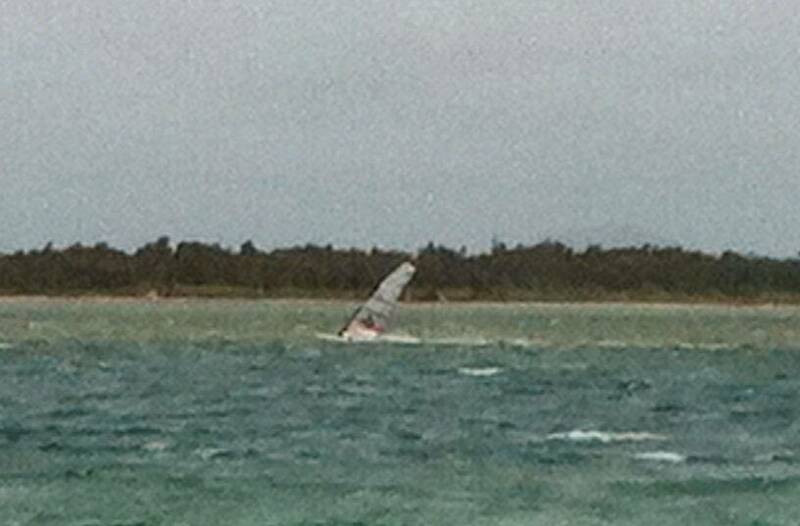 He was off the water in ½ hr as the wind filled in and I could be powered up with the 7.5. Spent a few hrs on this combo, heavy but it worked. Having the inlet full meant that I could truck long 4 k runs until you start hitting the bottom and it all ends it tears. Met one of our “Cobbler” fish and he speared something into my big toe ,turned it red and sore for a few hrs As the tide went out the channel was filled with standing waves with no back. NO Fun. I moved to the 6.6 at low tide when Daffy arrived with some better wind. Great to have him out there with me pushing the 1hrs and Alphas. He ran out of legs and it was just me and the wildlife and with dusk approaching started getting ready for the night sailing. The set up of the bank leds took some time and had to be adjusted as the tide went out. Smashed into a few weed banks as they don’t show up well in the Ay-Up Lights. Ran the 5.8 through to the 7.5 as the wind backed away. Daffy kept popping back to check how I was going and that I was still above the water. I really think he was coming back to do doughnuts while no-one was around. 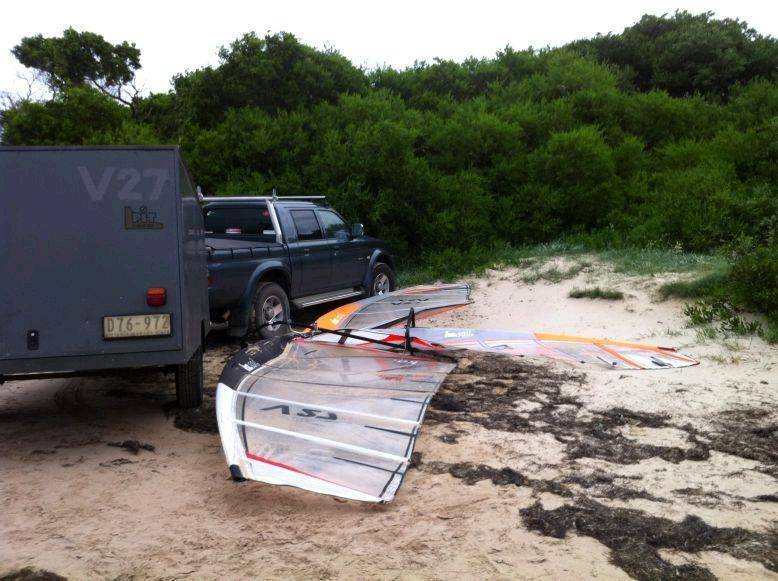 I broke a harness line just before dark and a boom as I was pumping the board onto the plane at 11.30ish. A slow swim across the boat hole entrance and a long walk back to the car. Rest time. New boom and a toilet stop had me cold and tired and the ks had stalled at 490 and so had the wind. Time for a Nanna Nap for an hr or so. Restarted at 4am with the wind, 5.8 time and flying. Stuffed by 7am with the tide racing in I quickly threw everything into the trailer, while Daffy copied the cards. I think that it is possible to do a 600k and at 7pm I had 400+ and I tend to ave 33k per hr and a session, but our friends the Dutch are very good at distance stuff and with 20 hrs of daylight they could do an 800hr 24hr. So hurry up Dave lets make it hard for them. If he sails past midnight does it still count? 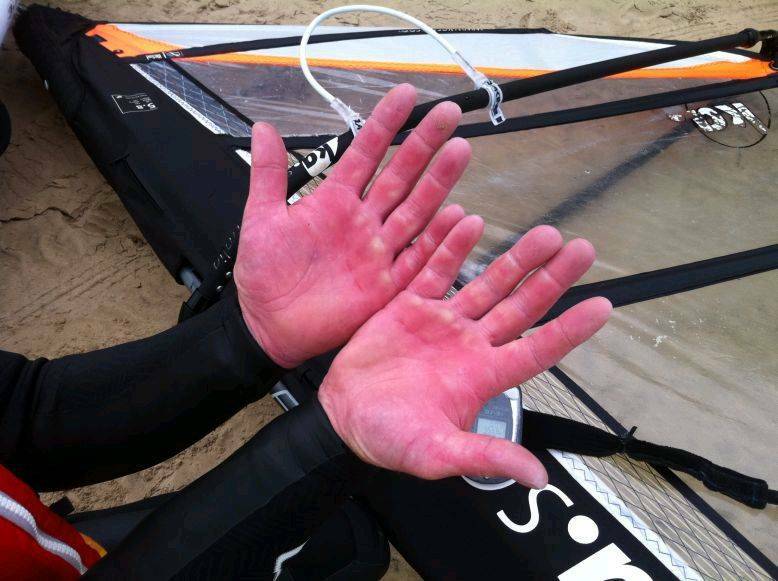 Respect to the man, that is so nuts that it has to be a windsurfer doing it. Awesome! Nebs, its still November at GPSTC HQ for another couple of hours! At midnight he had over 460 kms up. Takin a rest for a half an hour and forging on. He's going for the 550-600kms mark for the WGPSSSR 24 hr distance record. The wind died a bit between 10pm and midnight which put him a bit behind schedule, but seems to have filled in again now (1am). He was struggling to keep planning with his 7.5m for a while and didn't make much distance then. By my rough calculation Craigs 466km's and my pathetic in comparison 78km's gives us 272km ave. which may just knock off the distance for this month. The NM will not improve for us on Craig and my efforts though so I think the Taswegiens might still just get the big silver cup. Far out, can't wait to see the final numbers ... OMG!! WOW, yep could see night sailing happening one day. Well done Kato, watch out on the next full moon. Kato - your bloody mad - normally with people like you at work we sedate and restrain them - once again - BLOODY MAD! You deserve a day off Kato, bloody amazing effort. HUUUUGGGEEE, I wonder if he is going straight off to work. Fantastic effort mate. Awesome effort , well done Kato . Craigs total is over a bit more than 24 hrs. 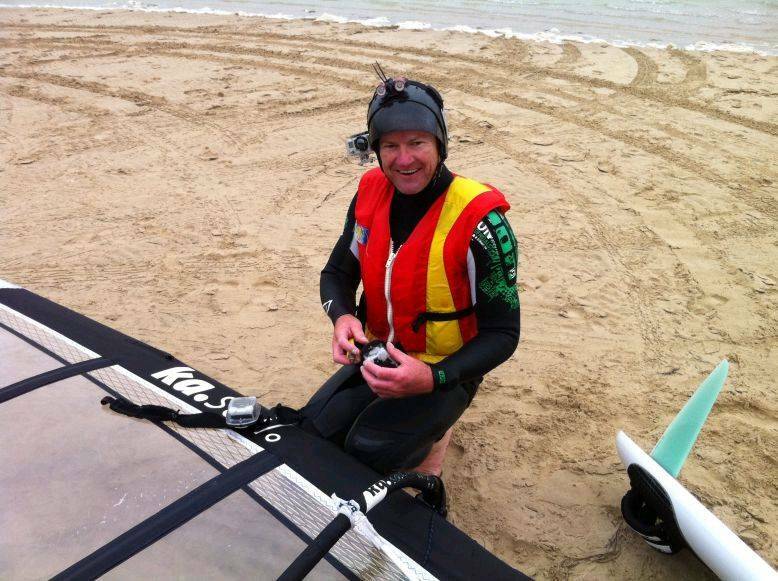 He started sailing at 7.15 am and finised at 7.30 the next day. I ran the best 24 hrs in GPS-Results and got 540.9 km's with an average speed of 12.17 knots. His best 12 hours was from 8.18am to 8.18pm where he covered 383.4 km at an average speed of 17.21 knots. More to come when I get a chance to run files through RealSpeed as well. PS -Amazing effort and I hope the body is still talking to the brain. Never thought Dave's record would be bettered for a long time. Well done Kato, amazing effort. Can't wait to hear more on how you went. Bloody awesome!! Same day that I did my 500+ last year!! nice one kato great effort.I wonder what dave will do now. Amazing session ....Big Congrats from Lyn and Herby.... / . Sick puppy,...... he even looks old enough to know better! Well done, keep up with the pills and ointment. Complete Nutter!!!!!!! Well done mate. Amazing effort, especially the night sailing! Congratulations. Super human effort, well planned by the sounds of it. Cranking into a few things in the dark would have made the hair stand up a tad, I bet. You deserve every accolade sent, for punching the boundary’s so hard, once again, huge effort, just bloody huge.. I'm not sure how to handle this one. "Well done Kato we knew you were up for it I hope you have'nt awoken Dave the sleeping tiger "
Respect from a Dutchie who isn't good at distance at all; for all the other Dutch guys; this is going to be tough to beat. This is huge !!! Will be very hard for every one on the world to beat this, and i agree, please don't split the track ! Respect from a really cold and icy Holland.... this is what you call focus and dedication !!!!! No doubt this is a massive effort. Does that now mean in the future you can sail an 8 hour day go to bed wake up and sail for another 8 hours as long as its in a 24 hour period. KATO....very well done. Me thinks that record will stand for some time! Awesome Craig! That is truly a superhuman effort, an amazing feat of endurance! Completely and utterly bonkers but still deserving of huge respect! Awesome effort Kato, big congrats. Lights, camera, action for sure. Nice one, but did you start seeing pink elephants towards the end? I think this will stand as the most distance in 24hrs for a long time. But as Nebs says, this is what the rules state. I don't think it's a good idea to start changing the rules mid stream, or making a special case because of an outstanding effort. Kato you are truly the maddest bugger in GPSTC! Awesome performance. Simply Stunning.. The Man !! That's just bizar, brilliant effort Craig!!! Brilliant effort Craig. Huge congratulations. Bloody amazing -- well done mate !!! 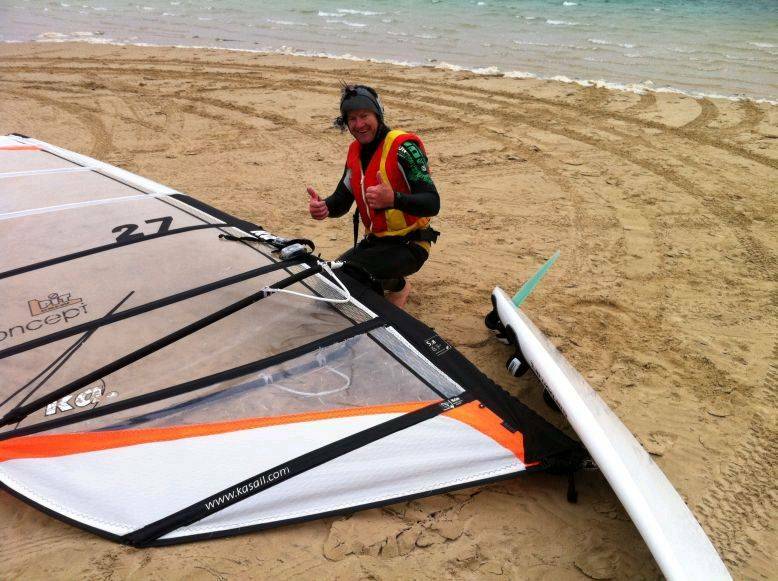 Well done what a top session :) but spare a thought for us in the UK,covered in snow and temperatures of 0 degrees :( thats my windsurfing over until the spring I'm thinking !!!! Enjoy the rest of your summer and wishing you good winds !!!! faaarke thats crasy , whats next ???? you are the man!congratulations on brilliant effort! to me it looks hard to make that distance in 48 hours! Absolutely brilliant and amazing! Respect! I think boards will start to be designed with headlights built into them. KA could develop glow sails. I will buy one!! Absolutely INCREDIBLE, I didn't think anyone would better Dave's kms for a long while but this is just madness. My 149km in one day seems absolutely insignificant compared to this, awesome, awesome effort, I just would like to get to 200 in a day and I would be happy. why you low the distance today ? yesterday was 550+ km ??? Our rules say that the all the numbers (including distance) have to be done on the same date -- and Kato sailed through the night. The 550 k's is the total distance in 24 hours, but 462 is the distance travelled in one day. I just saw this message now . To bad we didn't had good winds for long distance overhere this year in the 8 weeks time frame around our longest day (21 june). 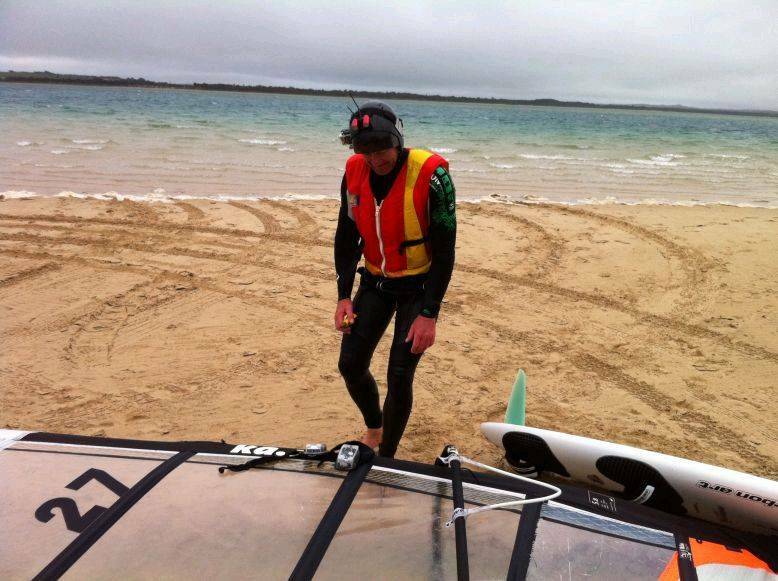 The longest distance i ever did was in 2009 ,see http://www.gps-speedsurfing.com/?mnu=user&val=55942&uid=429 , i did in 13 ouhrs total time. So Again WELL DONE Kato.